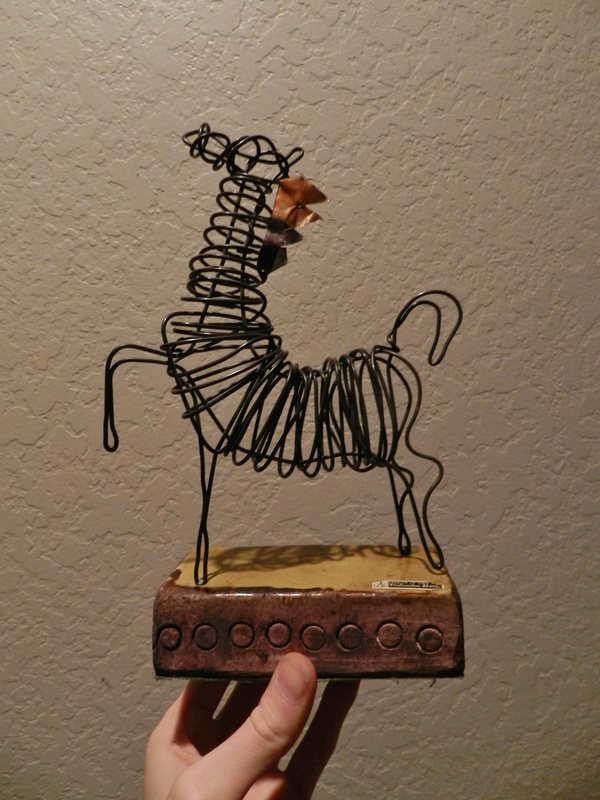 In Fine Art > Mid-Century Art > Show & Tell and Animals > Horses > Show & Tell. 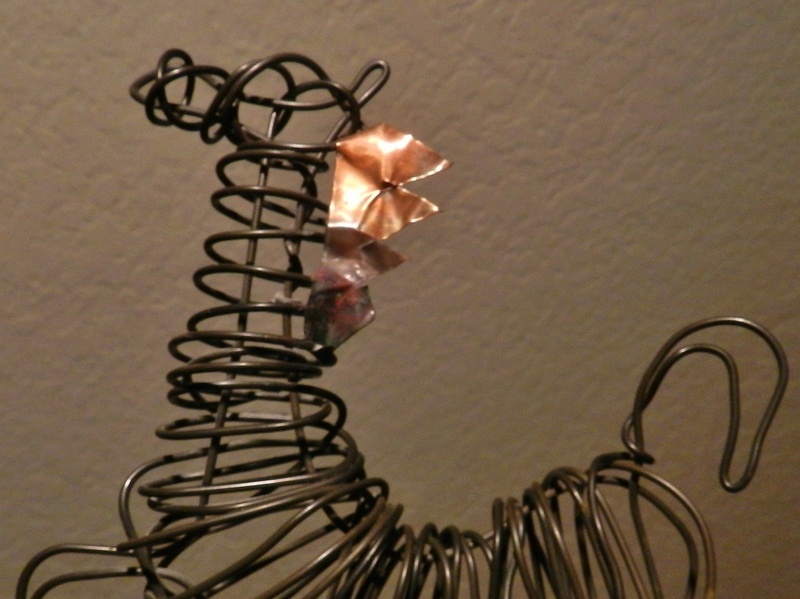 Its made of wound wire with a copper mane, sitting on a ceramic base. It was originally sold in an old Scottsdale equestrian-themed store called Bob's World of Horses, which is what the tag on the bottom says. I've seen these pieces before but they've been very few and far between. Someone is attributing one to Marcello Fantoni but I'm skeptical because all of the Fantoni pieces I've seen are very brutalist with gobs of solder all over, not wound like this one, and never with a ceramic base. They are just very, very different than this. I think he's guessing. It doesn't really matter who made it to me, just curious. I think its very classic Mid/Modern and I love it to bits! Major Wow! I have seen it before. Years ago on the net. The same Rosenthal Netter / Bitossi base. I knew you'd like it V! Each one is different too, different pose. Green am I! The mustard colour is soooo Aldo Londi. He loved animals too! New science, maybe someone will know for sure? Hmmm you're right, I hadn't considered Londi. That base is very, very Bitossi-like, and they produced a LOT of Rose-Net imports. That's probably what it is huh? 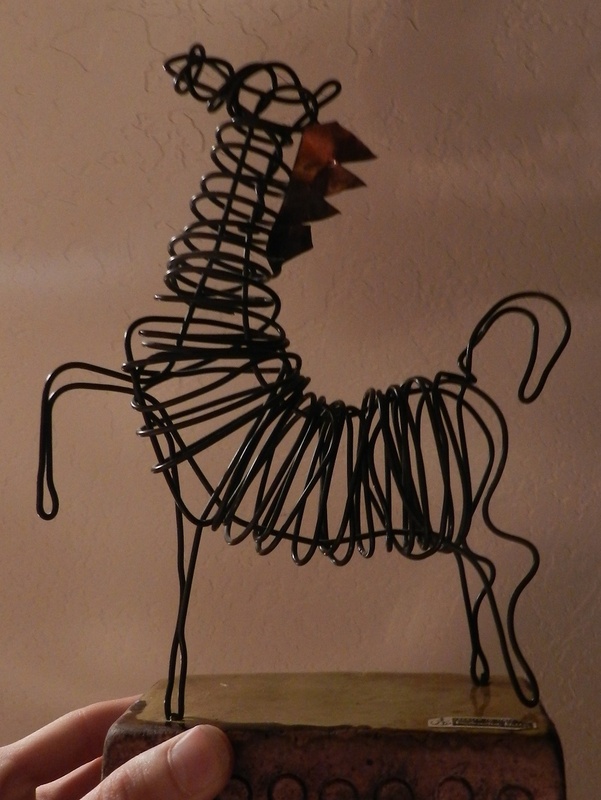 Thanks for all the comments Amber, this is one of my favorite pieces I own for some reason. They seem to be rare, there is only one other online right now and no one seems to know anything about who made it for Rose-Net. I love it!!! I'll never sell it!!! I so love your horse. I have an owl from the same series. 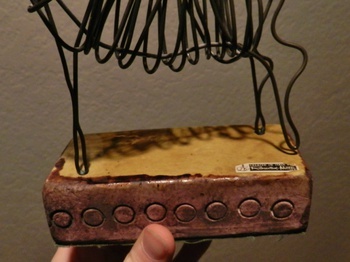 Wire sculpture on top of a mustard glazed ceramic box. According to some of my research, some attribute it to Alvino Bagni, but regardless of the maker, one of my cherished pieces. Picked it up for a song in a local charity shop.